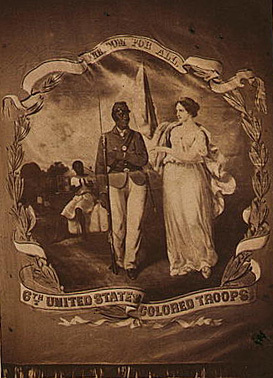 "Freedom for all—6th United States Colored Troops," ca. 1864, Gladstone Collection of African American Photographs, courtesy of the Library of Congress Prints and Photographs Division. Unit Seven: Gender and the Politics of Freedom describes how concepts of gender roles for white and black men and women changed during and after the U.S. Civil War. The Unit Seven educational documents listed on the left feature excerpts of various primary source documents and first hand accounts that clarify the influential changes in gender norms during the post-emancipation period.